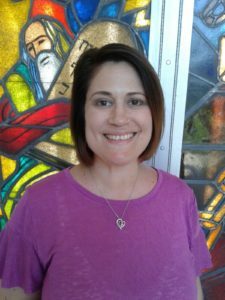 Julie Zorn came to Chadash Community Hebrew Academy in 2017 after spending 13 years in Tucson, AZ as a Jewish music specialist throughout the community and the Jewish Living and Learning Specialist at the Tucson Jewish Community Center. Julie credits her passion for Jewish education with summers spent at Jewish resident camp as a child, and in June 2017, Julie fulfilled her dream of completing a master’s degree in Jewish education from Hebrew College with a certificate in experiential education. Julie has won several awards in Jewish education including the Gerald and Marion Gendell Excellence in Jewish Education Award in both 2011 and in 2012, Tucson’s Coalition of Jewish Education ‘s Innovation in Jewish Education award in 2016, and Hebrew College’s Friedman Scholarship Award in Academic Achievement in 2017. Julie is thrilled to have returned to Northeastern Ohio where she grew up to raise her own family with her husband, Scott, the Program and Children and Youth Director at the Shaw JCC. They have two children, Haley (age 13) and Dylan (age 11). If anyone would like more information please contact Julie at 330-445-2853 or at chadash@jewishcanton.org.